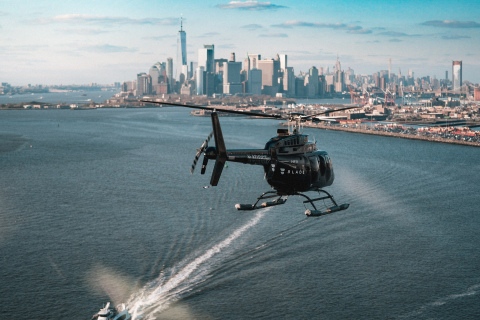 BLADE Urban Air Mobility has launched continuous helicopter flights between Manhattan and John F. Kennedy Airport JFK every weekday between 7am and 7pm!. 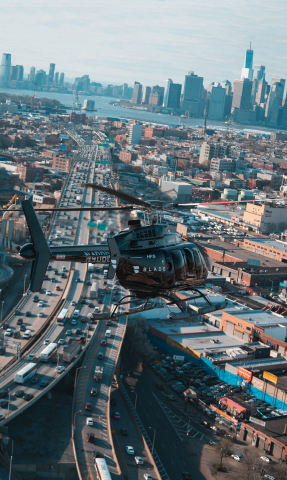 The shared flight service will use the Bell 206L-4 helicopter (operated by Zip Aviation) which New York authorities have classified as a "Not Noisy" aircraft. BLADE say it has also entered into arrangements with Sikorsky’s Associated Aircraft Group for a Sikorsky S-76 C+ for use from spring 2019. 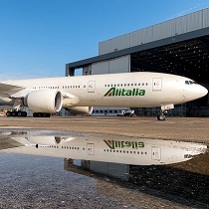 "The heavy traffic between urban centres and area airports is a key point of friction in city life," said Rob Wiesenthal, CEO of BLADE, "Our UAM service begins to remedy this issue at a reasonable price today, while paving the way for even more affordable solutions tomorrow driven by our partners' next-generation electric aircraft." Flights will operate between BLADE Lounge West at the West 30th Street Heliport and JFK airport, with ground transportation included between the JFK helipad and all commercial terminals. On-site at JFK, BLADE will also have a presence in the lobby of the soon to be opened TWA Hotel, in the iconic TWA Flight Center (originally built in 1962).